Mott in the Friars Dressing Room at the Friars 7th birthday party in June 1976. Buffin is sitting in centre. Also in photo are other members of Mott, Kris Needs, John Otway, Paul Kendall and Magenta Devine. Picture by Geoff Tyrell. A strongly-worded defence of libraries is included in our round-up of the Bucks Herald letters page, as well as a tribute to Mott The Hoople’s Dale ‘Buffin’ Griffin. I wonder which planet Mr Ripley is living on? In his letter last week he said that libraries are trivial, but only a trivial mind could think that. There is nothing trivial about libraries. The fiction departments may not be important but the non-fiction departments are a vital national resource; especially where there is a separate reference library as in Aylesbury. Libraries are an essential part of the nation’s education system. Furthermore all sorts of disasters have been prevented or alleviated by the information contained in libraries. Libraries are also a vital part of the nation’s memory bank and there wouldn’t be much progress without them. Libraries are just as neccessary to modern society as the spleen is to the human body. The spleen provices essential blood cells. Libraries provide essential information. The weekend before last a number of Weston Turville residents trooped over to the village hall to learn more about the latest development plan – some 180 ‘homes’ (never houses) to be built on the large field at the bottom of Worlds End Lane. The location of this particular site is significant since it quite literally touches the boundary of Weston Turville Reservoir – an Area of Outstanding Natural Beauty. Should planning permission be granted it will inevitably create the first major housing coalescence linking Weston Turville, Halton and Wendover. The developers, CEG, have extensive interests in the UK. Their representative informed me that the field in question is owned by a local farmer and will only be purchased provided planning permission has been granted. Crucially, I was informed that CEG may decide to sell the land on to a third party before the first brick is laid which, to me, underlines the sheer opportunistic cynicism of this application. I cannot help but wonder whether CEG, in common with all the other developers who would like to concrete over Aylesbury Vale, are all that interested in retaining the beauty, integrity and tranquility of our precious villages since Government policy encourages all of them to cover as much of the Green Belt as possible, regardless of the chaos it will cause to transport, schools, hospitals, health centres and the communities who have to live there once it has all been built. 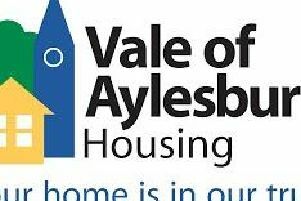 Since Aylesbury does not have a local plan (at least until 2017) there is very little the council can do to prevent the rapacious developers from succeeding which is why it is vital that our communities protest. Write to our MP, David Lidington, and have your say since apathy simply plays into the developers’ hands. Nobody is saying that sustainable, properly thought-out development isn’t vital to address our chronic housing shortage – but not at the cost of everything we hold most dear. Once it’s gone we’ll never get it back. Experts by Experience (ExEs) are a vital part of The Care Quality Commission’s (CQC) inspections of healthcare throughout England. These experts are drawn from service users and car-ers who have first hand knowledge and considerable personal experience of healthcare. By their very nature they often have a relevant “disability”; physical or mental health. These valuable inspectors have been employed by Choice Support; a charity contracted to The CQC. The contract has just been awarded to Remploy; a charity that has championed working by people with a disability. They in turn have sub contracted to The Enham Trust; another charity working with people with disabilities. Choice Support who pay £17 per hour have retained their contract for the central region but two of the three regional contracts have been awarded to Remploy, who without reasonable warning, wish to retain the existing Experts by Experience and recruit many more in the role. However Remploy/ Enham Trust are only prepared to pay at a minimum wage rate of £8.25 per hour (or £9.40 in London). The CQC state that they depend on the expertise of service users who are trained to carry out inspections with an emphasis on the opinions of those using the service that is being inspected. Without this input the full picture of a GP practice, care home or hospital is incomplete and makes the regulatory role of The CQC ineffective. The feeling of existing Experts by Experience is that their value is being totally undermined and the halving of their income to the minimum wage is an insult. The Government needs these regulators as demonstrated by many below satisfactory levels of NHS healthcare being exposed. To be honest, I have never heard of anything so ridiculous as a statue of David Bowie in Market Square. I am not saying that he wasn’t a good entertainer, but iconic and legendary – that’s taking it a bit too far. I’ve often wondered why we have a statue of Ronnie Barker. He was really one of my favourite comedians, and, yes, he did perform at the old Market Theatre in his early days, but a statue!! Still at least it’s situated in the Waterside forecourt. A plaque to commemorate Bowie’s performances at Friars is a great idea, as is the acknowledgement to Lynda Bellingham inside the theatre, and either should be sufficient for Bowie. Most certainly not a statue in Market Square. Apart from anything else where would he stand? Alongside Disraeli, John Hampden or Lord Chesham. Bit out of place don’t you think? Oh, and as for boosting Aylesbury’s economy – I don’t think so! So, David Stopps thinks it’s a good idea to have a statue of David Bowie erected in Aylesbury? This is the most ludicrous suggestion so far that I have heard of for the town and in many people’s eyes a complete waste of money. Is David so starstruck that he cannot see what a really bad role model David Bowie would be for the youngsters in the town? He would do far better if he raised funds to get some of the homeless and addicts off our streets. People who are far too gone to help themselves and there are so many of them, vulnerable people who our local council refuse to admit exist. If David Stopps is looking for a way to help the town perhaps he could help these people. Further to the reader’s letter last week I’d like to mention I spoke to Aldi HQ when they started building and they said they would put a ramp in like Sainsbury’s have. I was dismayed when they opened to find only steps so disabled people and those with wheelchairs,pushchairs,walkers,etc were barred from shopping at Aldi. I have contacted Aldi again but so far to no avail. I have great difficulty getting my walker down the steps one by one and have to ask for staff to carry my walker and full bags of shopping up the steps. This town is supposed to be disabled friendly but Aldi do not seem to concern themselves with this. To have to walk all the way round from the bus stop to the rear and then negotiate the cars in the car park is irresponsible of them and if elderly or disabled people like me have to do this, they have no energy left to do shopping so Aldi lose their support. Incredibly sad news that Dale ‘Buffin’ Griffin died on Sunday 17th January just a week after the untimely death of David Bowie. At the Friars Aylesbury David Bowie memorial event in Aylesbury Market Square last Saturday the only song we played that was not performed by Bowie was Mott The Hoople’s All the Young Dudes which of course David wrote and which featured Buffin on drums. Buffin was a key musician in the history of Friars Aylesbury, playing drums for Mott The Hoople, Mott and The British Lions between 1969 and 1977. With Mott the Hoople he played five times at Friars Aylesbury in Dec 1969, Feb 1970, May 1970, September 1971 (just before Bowie’s first gig) and February 1973. He also played Friars Bedford on 1st January 1970 and in November 1970, Friars High Wycombe in September 1970 and Friars Dunstable in September 1972. He subsequently played Friars Aylesbury Phase Three at Aylesbury’s Civic Centre twice with Mott in September 1975 and at the Friars Aylesbury 7th birthday party on 12th June 1976. Later still he played Friars Aylesbury with The British Lions in December 1977. Friars legend and journalist Kris Needs ran the Mott The Hoople fan club out of Aylesbury which was affectionately called The Mott The Hoople Seadivers. Buffin was a key member of Mott the Hoople. On the early gigs they would put Buffin and his drum kit right at the front of the stage making him the featured player. The Friars gig in December 1969 at the New Friarage Hall in Walton Street was the first gig that MTH played where they got a great audience reaction. That was the gig where it all started according to keyboard player Verden Allen. In March 1972 Mott The Hoople decided to call it a day. When Bowie heard they were going to split he went mad and spent two hours on the phone with them telling them that they just had to stay together. He offered them Suffragette City to record and then a new song he had just written All the Young Dudes. They felt that Dudes suited the band more and said they would like to record that. The rest is history. Bowie produced their next album and All the Young Dudes was a huge worldwide hit. The photo above by Geoff Tyrell shows Buffin (centre) in the Friars dressing room in June 1976 with Mott, Kris Needs, Otway, Paul Kendall, Tricia Kendall and Magenta Devine. After his live career ended he became a BBC producer for John Peel and Kid Jensen and famously produced a Nirvana session in 1990 for Peel. He was also key in breaking local hero Howard Jones who he recorded in session for Kid Jensen in 1982 which resulted in a recording contract with Warners. Buffin had a long battle with Alzheimers which prevented him from participating fully in the Mott The Hoople reunion gigs in 2009 although he did come on stage for the encores. He was one of the great Friars musicians, heroes and friends and was the nicest guy you could ever hope to meet. Farewell Buffin. We will always remember you, and miss you.